An old saying goes, “Be careful what you ask for, you just might get it.” Becoming parents can be one of the most joyous events in the life of any couple. Of course, along with that joy comes the reality of gaining a “roommate.” If you’re living in a very expensive rental market, this could mean you’ll have to figure out how to accommodate a third person in a one-bedroom apartment. As small as babies are, the amount of space they can consume is amazing. Still though, with a bit of planning, comfortably living with a baby in a one bedroom apartment can be done. So, go through the ideas below and maybe, try to incorporate them in your next bedroom remodel. The first thing you’ll need to do is downsize your own belongings to make room for the baby. Odds are you’ve needed to go through your closets for a while anyway. A good rule of thumb is to get rid of anything you haven’t worn or touched in the past 12 months. Find a good consignment store for the clothes and shoes you haven’t worn and put all of the proceeds of their sales toward a fund for the baby. That way, you can kill two birds with one stone. Think very carefully about how you use the space you free up with the purge. Adding shelves and vertical storage to closets will enable you to use them more efficiently, which can afford you more space than you ever thought possible. Removing the clutter will also prevent the case of a disaster such as the baby breaking belongings or starting an apartment fire. 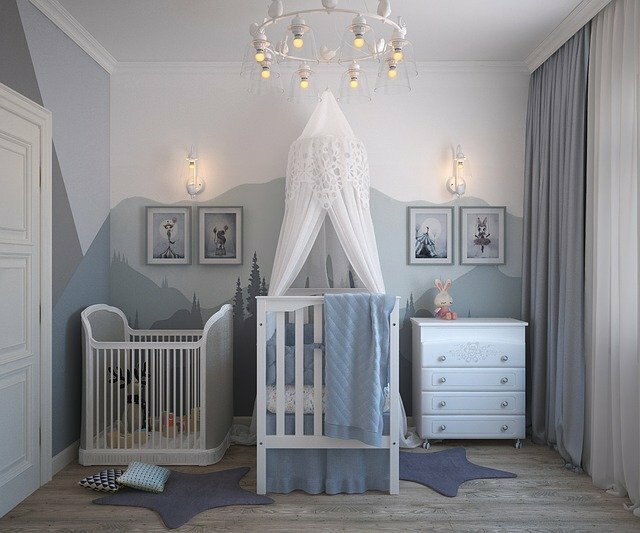 Give over one corner of the bedroom to the “nursery.” Find a cabinet of drawers capable of fitting beneath the crib in which you can keep toys and baby items so the rest of the bedroom remains uncluttered with baby gear. This will enable you to avoid feeling crowded by the baby’s things. If space permits, set aside an additional dresser or a chest of drawers specifically for the baby. Infant clothes tend to need very little space, so a couple of drawers should suffice, that way the other drawers can be used for extra supplies, toys, etc. You can even convert a closet space into your baby’s crib area. Friends and family are going to shower you with gifts. Make sure they know you plan to stay put in your one-bedroom, so gifts should be as compact as possible. Better still, register at your favorite baby goods store and make sure you choose space-saving items capable of getting the job done without consuming a lot of square footage. Get a table-mounted folding feeding chair, as opposed to a bulky high chair. Find items that can serve multiple purposes, like a car seat that doubles as a stroller to conserve space wherever you can. Travel versions of bouncers, swings and other paraphernalia tend to be rather compact and are just as effective at home as they are on the road. You may need to increase your security measures because a small toddler is coming into the home now. Make sure doors, drawers, windows, are all baby proofed. 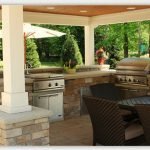 Purchasing a security camera and adding extra fences may even be beneficial. Read more about the additional security precautions you should take for your home here. With a bit of thought and some careful planning, comfortably living with a baby in a one-bedroom apartment can be accomplished.